For the last few years I’ve taken a short sabbatical each summer. I’m looking to rest and focus on intense relational time with Gail. The challenge is unplugging from the Matrix. Anyone who’s attempted it can relate to the difficulty. I’m at the computer or on another device a large portion of the day, every day. I’m reading, interacting on social media, dealing with email, building my business. Plugging in is second nature. Unplugging is hard. I enable a special emergency email that I only use while on sabbatical. Only my family and teammates have this email. I check this once a day. I disable all other email accounts on my desktop and mobile devices. I’m using an auto-responder to explain my absence along with Gmail’s filter function to delete all messages as they arrive. Details on the auto-responder and filter below. I delete Slack and TweetDeck on my desktop and mobile devices so I’m not tempted to check them. I will reinstall them when I return. I view Facebook via my browser, but I will only use my personal account to stay connected with family and close friends. This is entertainment for me not work. I’ll keep Instagram on my phone for the same reason. I set up a voicemail message for my phone that mirrors the auto-responder message I’m using for my email accounts. Here’s the text of that auto-responder message. You might find it useful. 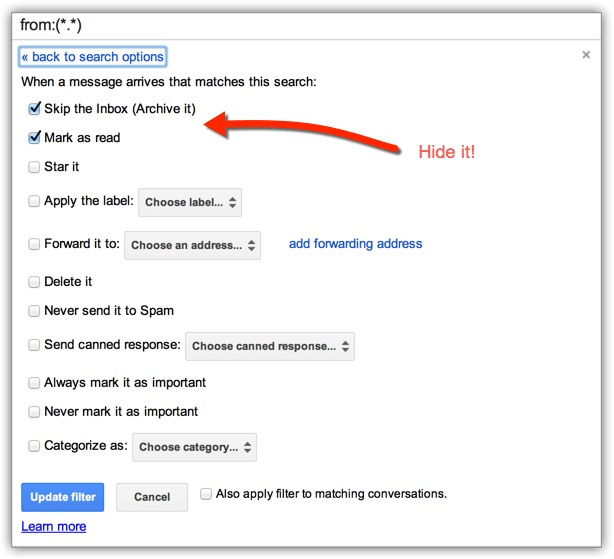 I also explain how to set up the Gmail filter to remove all messages from your inbox as they arrive. It’s not quite the same thing as deleting them, but it’s close. So I don’t return to an inbox full of messages that have already been resolved. 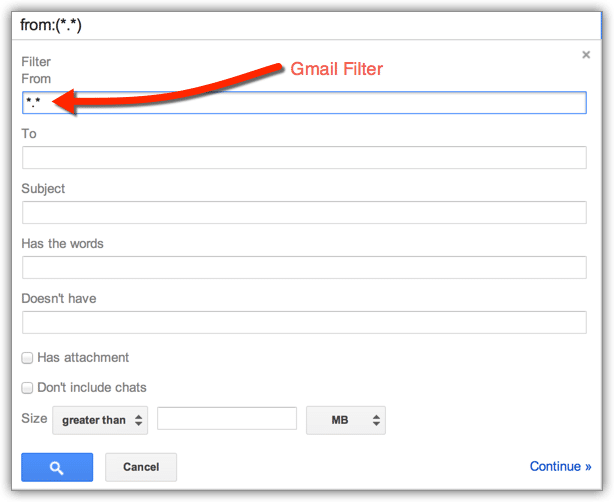 To set up the filter, go to your Gmail settings and select filters. When you go to add a new filter, you’ll see a window like the one below. In the “From” field, type “.” This mean the filter applies to every message. You will get an error message on this, but you can ignore it. Once you set the parameters, click “Create filter with this search.” You’ll see a window like this one. Make the selections you see above. You can’t actually delete the message and also trigger the vacation message. Instead, mark it as read and skip the inbox. The message won’t be deleted, but it will be automatically archived so you don’t see it when you return to your inbox. In my experience these steps allow me to get my head out of my work and my heart into my rest. Question: What steps do you take to unplug? How much rest do you get if you don’t?